Think about this: a room totally crowded with community Developers, Partners and the majority of the Appcelerator team. 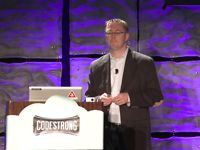 Jeff Haynie, Co-Founder and CEO, started off one of the most exciting events in the Mobile industry: CODESTRONG 2011. Eager to share the beginnings of his Company, Jeff, along with his co-founder Nolan, explained how things grew so fast since Appcelerator was founded four years ago in Atlanta. In fact, they just launched Titanium two years ago at WWDC 2009, "18 employees a year ago … over 100 today. We’re growing really fast thanks to all of you", remarked Jeff. Their action plan to help clients includes two ways: Building a thriving ecosystem and, producing an integrated mobile development platform. Appcelerator’s worldwide success includes: Companies in Singapore have built over 1,000 apps on Titanium!! In Hong Kong, there is a Titanium app that has over 1,000,000 active users; and the latest Titanium Mobile book published in Japanese, which has already sold out their 4,000 copies! At home, the New York State Senate uses Titanium to build their apps on iOS and Android. The official app of the Surrey Police iPhone app is built on Titanium. Some of the biggest brands use Titanium — AT&T, ING, Cisco, & Merck to name a few. Appcelerator has more than 200,000 registered developers, between Appcelerator and Aptana, and over 25,000 apps have been published to the public app stores. 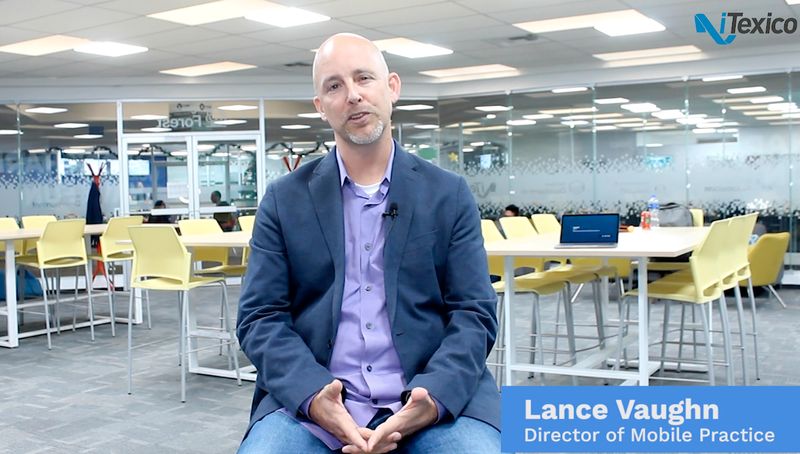 Earlier this year, they announced the Titans program —Training and Certification, with 37 countries, and 150 members paricipating — becoming a Certified App Developer (TCAD), which has also helped increase the community. Not wanting to rest on their laurels, Appcelerator is continuously investing in their platform. There are many on-going improvements: API parity, API docs, updated guides, best practice guides, more blogging and community support. On the Ecosystem side: cloud integration, Enterprise app store and RedHat’s OpenSift PaaS. OPEN MOBILE MARKETPLACE The marketplace will contain over 50 modules, app templates, design elements, and other resources. The conference had as its main event the CODESTRONG Hackathon - where Dozens of developers joined the Appcelerator crew for an all night code fest, competed for nearly $20,000 in prizes, including the big $10,000 grand prize. The contestants coded incredibly cool and interesting apps within the tight deadline. There were medical wellness apps, social networking apps and even over-the-network graphics apps. As a company with lots of experience on Titanium, ITexico is proud to be part of the Appcelerator ecosystem. Let us be your next-door IT Mobile partner, helping you build awesome Mobile Apps!